Think Braveheart Down Under—an impossibly masturbatory, unilateral act of hero worship. 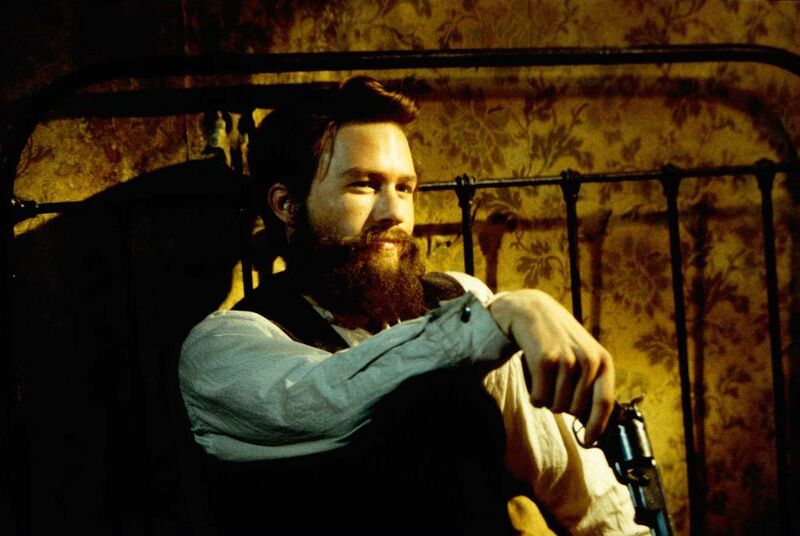 Based on Robert Drewe’s novel Our Sunshine, Gregor Jordan’s Ned Kelly celebrates the life of Australia’s famous Iron Outlaw, who defied British colonialism in the 1870s in the name of the working class masses before being executed in 1880 at the age of 25. The film begins and ends the same, with a dewy flashback sequence depicting a young Ned saving a young schoolboy from drowning. Original Sin? Hardly. From the start, this one-sided portrait of Ned Kelly woefully contemplates the state of a world that would allow such a heroic child to forget what it’s like to be human. An older Ned (Heath Ledger) goes to jail for supposedly stealing a postman’s white horse and emerges noticeably hardened, determined “to walk the straight and narrow.” The filmmakers repeatedly exonerate the man (it’s unclear as to whether he actually stole the postman’s horse), excusing his violence as a response to the corrupt police system that threatens his impoverished, wombat-eating family. It’s impossible for Ned Kelly to do wrong: he’s chummy with the country’s downtrodden Chinese populace; he wails when he kills the police captain who shot at him first; and he steals the man’s watch not for the price tag, but so he can return it to the man’s family. Despite their brutal murdering streak, Ned and his gang become folk heroes. The would-be Robin Hoods steal from the rich and give to the poor, and not only do they become dream-fucks for the country’s female population but their bank robberies take on the guise of audience-participant stand-up comedy spectacles. Director Jordan obviously did his research (the locations perfectly match photographs from the area and the actors’ resemblances to their respective characters are uncanny), but he lays on the gravitas thick. A hammy Geoffrey Rush appears as Superintendent Francis Hare, the officer enlisted to capture Ned Kelly, and the man enters each frame as if every shot of Ned Kelly signaled the death of cinema. Poor Rush is given absolutely nothing to work with, and as such spends the entirety of the film burning “Geoffrey Rush was here” into to the film’s celluloid with his confused expressions (Is he mad? Is he sympathetic of Ned? You decide!). No woman and circus animal is immune from the Queen Victoria approved gunfire, and Klaus Badelt’s score cums all over itself at least a dozen times.